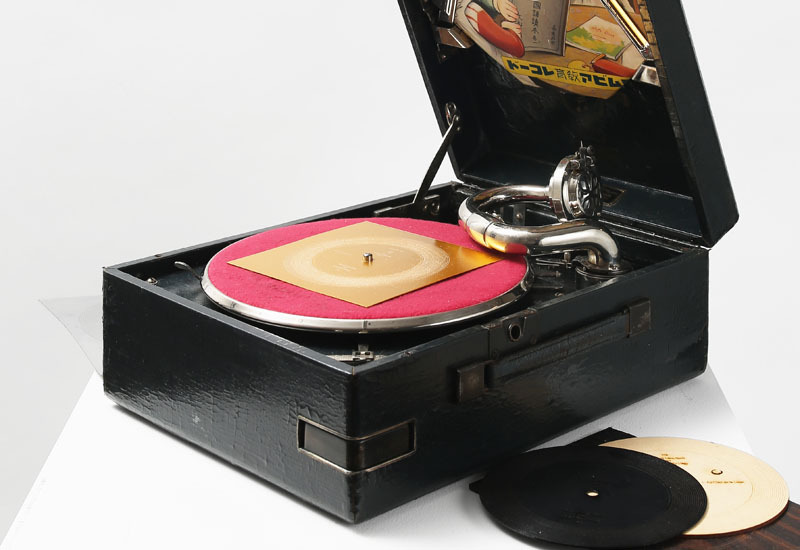 This work realizes Moholy-Nagy's provocative idea of "a record without prior acoustic information" (1923) with the help of modern audio technology and personal fabrication tools. In this work, I reproduced a French folk song, "Au Clair de la Lune" (1860), the oldest recorded music by Léon Scott, in the form of a record for a gramophone. Instead of using a recording of the music, I computationally drew a vector waveform with Adobe Illustrator by calculating the frequency of every note of the music. I then horizontally engraved the waveform onto a lacquered anodized aluminum plate with a laser cutter. A record made from a computationally drawn waveform engraved onto a lacquered anodized aluminum plate sits atop a gramophone.